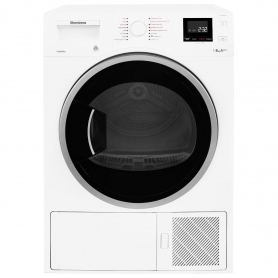 Say goodbye to wet clothes hanging all over the house with this super-efficient heat pump tumble dryer from Blomberg. 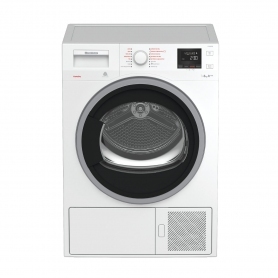 Exclusive to Euronics, the LTH3842W’s 8 kg capacity makes it the ideal option for families. 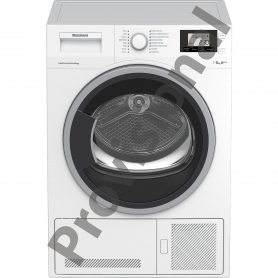 Challenge the tumble dryer status quo with this heat pump dyer from Blomberg. Delivering both fast drying times and energy efficiency. Order yours today. RapiDry technology allows for faster drying times than other heat pump models. 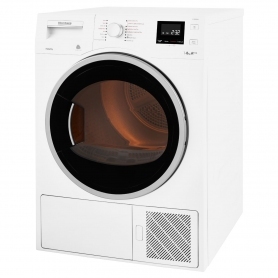 It’s also faster than condenser models, whilst maintaining a high, though slightly reduced, A+ energy efficiency rating, helping you spend less time on your laundry and more time on the things you love. 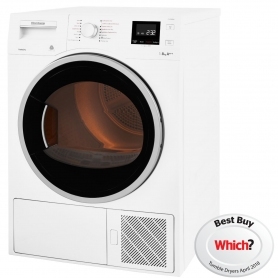 This highly efficient heat pump dryer from Blomberg has an A+++ energy rating, saving you money on energy bills. The stylish large LCD display keeps you informed by showing the time remaining till the end of the cycle as well as the time delay. It also allows you to adjust the dryness level. The Sensor drying programmes identify the levels of moisture in the drum and automatically stop when the desired dryness level is achieved. Preventing over-drying, they help you save time and money on energy bills and provide a better protection for clothes. 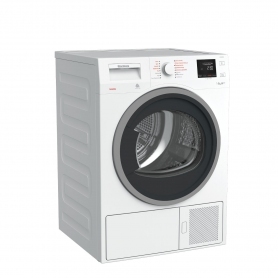 The large drum size allows you to dry more in one cycle, helping you save time and money. You can dry up to 22 hand towels in one cycle, ideal for larger families. 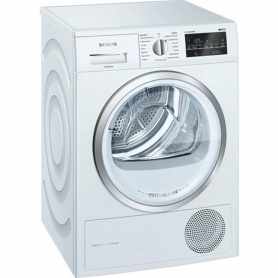 The Automatic Anti-creasing function the drum rotates periodically for up to 2 hours after a cycle has finished. 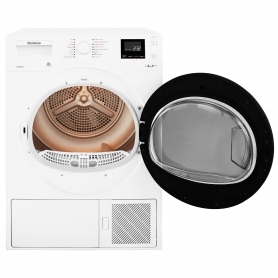 The gentle drum action separates the laundry to ensure it remains crease-free until you are ready to take it out. With the Auto Cool down phase, cool air is blown into the drum just before the cycle ends, allowing you to comfortably unload the laundry. With a wide range of options to choose from, you are guaranteed that there is a programme to suit all your needs, whether drying delicates, shirts or jeans.